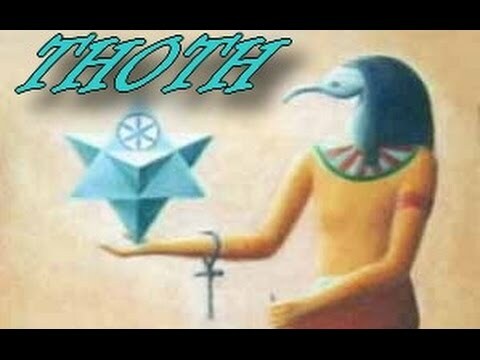 Book of Thoth is a name given to many ancient Egyptian texts supposed to have been written by Thoth, the Egyptian god of writing and knowledge. They include a text that is known and has been translated, many texts that were claimed to exist by ancient authors, the emerald tablets of Thoth, and a magical book that appears in an Egyptian work of fiction. The Egyptologists Richard Lewis Jasnow and Karl-Theodor Zauzich have dubbed a long Egyptian text from the Ptolemaic period "the Book of Thoth". This Demotic text, known from more than forty fragmentary copies, consists of a dialogue between a person called "The-one-who-loves-knowledge" and a figure that Jasnow and Zauzich identify as Thoth. The topics of their conversation include the work of scribes, various aspects of the gods and their sacred animals, the occult, and the Duat, the realm of the dead. Secret Teachings: A series of videos inspired by Manly P. Hall's Secret Teachings of All Ages.